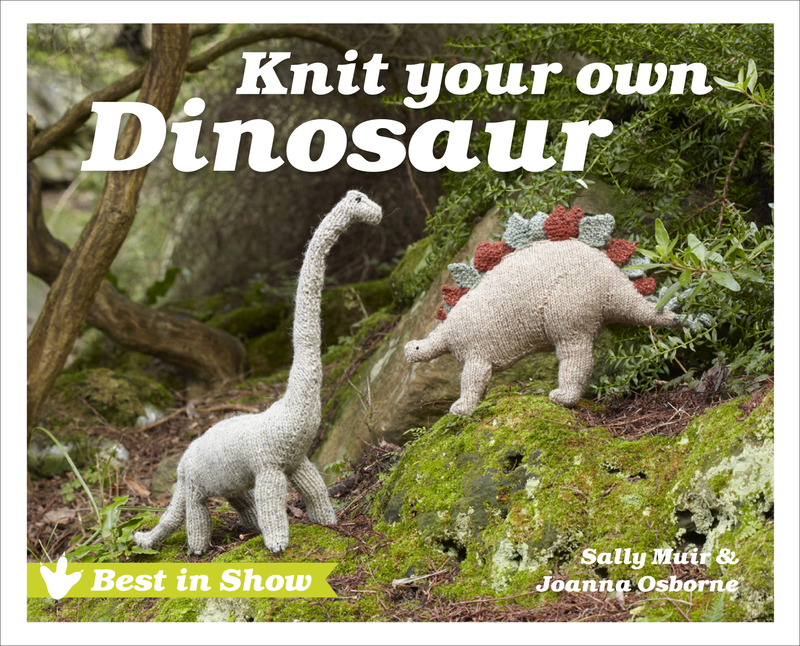 Knit your own Dinosaur is the latest addition to our Best in Show series, and the first to feature animals that are no longer with us. As nobody knows for sure what colour dinosaurs were, it has given us licence to be a little more adventurous with our colours, and so can you. We hope that we have chosen a representative selection for you, with a variety of shapes and sizes, from the winged to the crawling, from the long-necked to the squat and menacing. We have added armature wire as well as pipecleaners to help strengthen our dinosaurs and make them more poseable. As before, the dinosaurs are not toys, but the ends of armature wire are less sharp than those of pipecleaners, so may be better for small children. Or you can stuff the dinosaurs very tightly and not use anything, if you don’t mind them being slightly floppy. can proceed to the slightly more complicated Velociraptor, Archaeopteryx, Iguanodon, Triceratops and Ankylosaurus. We do hope that you enjoy knitting our dinosaurs as much as we have enjoyed creating them.